Bankruptcy and special liquidation are proceedings for liquidation and winding up of the debtor, while civil rehabilitation and corporate reorganisation are proceedings for revitalisation of the debtor’s business. These legal insolvency proceedings do not commence unless they are petitioned to the competent district courts. This chapter will focus on corporate reorganisation, civil rehabilitation and bankruptcy unless there is a need to refer to other proceedings. The focus will be on companies (corporations), not individuals, as the debtor. Bankruptcy and civil rehabilitation may be utilised by any type of entity, including companies and individuals. Corporate reorganisation and special liquidation are available only to stock corporations. This rule has long been applied to Japanese corporations only; however, in recent cases, overseas corporations established under Panama, Singapore and the Netherlands have been subject to the corporate reorganisation in Japan under the Tokyo District Court. As these overseas corporations are subsidiaries of other reorganisation companies, it was necessary to also involve these overseas subsidiaries under Japanese corporate reorganisation in order to achieve harmonised business reorganisation. Assets belonging to the trust property of the debtor are not included in the estate of the debtor subject to bankruptcy, civil rehabilitation or corporate reorganisation. There is no special procedure for insolvency of a government-owned enterprise, and hence, such an enterprise is subject to the aforementioned insolvency proceedings. Yes - the Deposit Insurance Act, etc. The four legal insolvency proceedings must be petitioned to the district courts that have competent jurisdiction over the case. Practically, most of the important insolvency cases (especially cross-border cases) are handled by the Tokyo District Court. Once the court issues an order, this order can be appealed against only if a right of appeal is stipulated by the relevant laws. In general, the appeal does not need court permission or security deposit. Bankruptcy proceedings commence if the court finds that, because of the lack of ability to pay, the debtor is generally and continuously unable to pay its debts as they become due, or the debtor’s liabilities exceed its assets. The trustee is appointed by the court as of the commencement of the bankruptcy proceeding. The power to (i) manage or dispose of the debtor’s assets; (ii) elect to assume or reject an executory contract; and (iii) exercise the right of avoidance (against fraudulent transfer, preference, etc) belong solely to the court-appointed trustee. The trustee is appointed by the court from among the insolvency practitioners. the debtor is unable to pay its debts as they become due without causing significant hindrance to the continuation of its business. In civil rehabilitation, the debtor-in-possession (DIP) can continue running the business (ie, in principle, the trustee is not appointed by the court). The power to (i) run the business of the debtor company, (ii) manage or dispose of the assets thereof, and (iii) elect to assume or reject an executory contract belongs to the DIP; however, the DIP does not have the right of avoidance. The supervisor is appointed by the court as a watchdog on the DIP and has the power of avoidance if so admitted by the court. Secured creditors are not stayed from exercising their security interests in principle. However, exceptionally, secured creditors may become subject to a suspension order by the court having the effect of a temporary stay. Also, under certain conditions, the security interest may be extinguished by the court. In corporate reorganisation, the trustee is appointed by the court as of the commencement of the proceedings. The power to (i) run the business of the debtor company, (ii) manage or dispose of the assets thereof, (iii) elect to assume or reject an executory contract, and (iv) exercise the right of avoidance (against fraudulent transfer, preference, etc) belong solely to the court-appointed trustee. Secured creditors are stayed from exercising their security interests, and the value of the collateral as of the commencement will be paid in accordance with the reorganisation plan. there are no circumstances under which fair operation of the corporate reorganisation proceeding will not be prejudiced by involvement in management of the debtor company by the current managers. The key differences between civil rehabilitation and corporate reorganisation are, as in the aforementioned, whether the trustee is always appointed and whether exercise of security interest shall be stayed. Under the corporate reorganisation, the trustee is always appointed, and the exercise of security interest is stayed during the whole proceeding. The treatment of creditors differs between civil rehabilitation and corporate reorganisation. In civil rehabilitation, only one class is permitted under the law - all of the unsecured creditors. Amounts: half or more of the aggregate claim amount of the unsecured creditors. Under civil rehabilitation, there is no cramdown system. The rehabilitation plan, even if approved by the creditors, becomes effective only when the court’s confirmation order thereon becomes final and non-appealable. In corporate reorganisation, theoretically many classes may be established; however, under the prevalent practice, only two classes are established by the court for the plan voting: a class of all the secured creditors and a class of all the unsecured creditors. class of unsecured creditors: a simple majority (that is, exceeding half) of the aggregate claim amount of the unsecured creditors. nine-tenths or more of the secured creditors, in the event the plan contemplates liquidation. provide other fair and equitable protection to the creditors. The reorganisation plan, if approved by the creditors and confirmed by the court, becomes immediately effective even before the court’s confirmation order thereon becomes final and non-appealable. A creditor may file petition for bankruptcy and the court may commence bankruptcy if it finds that, because of the lack of ability to pay, the debtor is generally and continuously unable to pay its debts as they become due, or the debtor’s liabilities exceed its assets. A shareholder may not file for bankruptcy. After the commencement of bankruptcy, there is no material difference between a voluntary case and an involuntary case. A creditor may file petition for civil rehabilitation and the court may commence civil rehabilitation if it finds that, there is a risk that, because of the lack of ability to pay, the debtor becomes generally and continuously unable to pay its debts as they become due, or there is a risk that the debtor’s liabilities come to exceed its assets. A shareholder may not file for civil rehabilitation. A creditor or creditors holding aggregate claims equal to 10 per cent or more of the paid-in capital of the debtor may file for corporate reorganisation and the court may commence corporate reorganisation if it finds that there is a risk that, because of the lack of ability to pay, the debtor becomes generally and continuously unable to pay its debts as they become due, or there is a risk that the debtor’s liabilities come to exceed its assets. A shareholder or shareholders holding 10 per cent or more of the total voting rights may also file petition for corporate reorganisation. After the commencement of civil rehabilitation or corporate reorganisation, there is no material difference between a voluntary case and an involuntary case. Yes. Under Japanese recent practice, there are many cases (especially civil rehabilitation cases) where the acquirer of the debtor’s business (under Japanese prevalent practice, called a ‘sponsor’) is selected by the debtor (in most cases, through a bid process) before or right after the petition for civil rehabilitation and the debtor’s business is sold to the sponsor on an expedited basis before formulation or voting of the draft of the rehabilitation plan. This mechanism is much different from the ‘prepacked’ or ‘prearranged’ filing or the 363 sale under the US Chapter 11 in many aspects; however, business rehabilitation through business transfer (asset sale) outside of the rehabilitation plan is common under Japanese practice. As described above, even if the plan is not approved, the cramdown system would work under corporate reorganisation (civil rehabilitation does not have a cramdown system). If the debtor fails to perform the plan during corporate reorganisation or civil rehabilitation proceedings, the case will be converted to bankruptcy. However, in some cases, (the trustee of) the debtor will try to amend the plan (propose a revised plan to the creditors and have the plan voted for) in order to avoid the conversion to bankruptcy. Yes. Special liquidation is used when, after a shareholders’ resolution for dissolution of the company has been passed, it is found or suspected that the company has an excess of debts over assets and will not be able to complete a normal dissolution. Special liquidation is not suitable for a company where the resolution for dissolution in the shareholders’ meeting may not be easy to obtain considering the number of shareholders. Under special liquidation, the debtor will enter into an amicable settlement with the respective creditors, or, have a plan of payment approved by the creditors (exceeding a simple majority of the headcount and two-thirds of the claim amount) and confirmed by the court. If the special liquidation fails, the proceeding will be converted to bankruptcy. Bankruptcy proceedings are concluded when the court orders termination of bankruptcy after completion of the final distribution to the creditors (or, if the distribution is no longer possible, the court orders discontinuance of bankruptcy and the order becomes final and non-appealable). Civil rehabilitation proceedings are concluded when the court issues an order of termination, which shall be issued when the rehabilitation plan is all performed, or three years have passed since the court’s confirmation order becomes final and non-appealable. Corporate reorganisation proceedings are concluded when the court issues an order of termination, which shall be issued when (i) the reorganisation plan is all performed, (ii) two-thirds or more of the monetary claims under the reorganisation plan have been paid to the creditors without payment default, or (iii) the court confirms that the reorganisation plan will definitely be carried out. The concepts of cash-flow insolvency and balance-sheet insolvency are important here. As explained above, bankruptcy proceedings commence if the court finds that (i) because of the lack of ability to pay, the debtor is generally and continuously unable to pay its debts as they become due or (ii) the debtor’s liabilities exceed its assets. Civil rehabilitation and corporate reorganisation commence if the court finds that there is a risk of either (i) or (ii) happening. The inability to pay debts is related to cash-flow insolvency and the excess of liabilities is related to balance-sheet insolvency. Under Japanese law, companies are not statutorily obligated to file for commencement of the insolvency proceedings even if they become insolvent. However, there is a theory that, under certain circumstances, directors of an insolvent company owe a duty of care to consider filing for formal insolvency proceedings for the purpose of mitigation of the creditors’ losses. Under Japanese law, directors and officers of a company are not statutorily obligated to file for commencement of the insolvency proceedings even if the company becomes insolvent. However, there is a theory that, under certain circumstances, directors and officers of an insolvent company owe a duty of care to consider filing for formal insolvency proceedings for the purpose of mitigation of the creditors’ losses. Exceptionally, a director of a medical corporation must file for commencement of bankruptcy if the obligations of the medical corporation exceed its assets. The corporate officers and directors owe a duty of care to their corporation, and if the corporation incurs loss caused by breach of the duty, then the officers and directors are personally liable for the loss. Such liabilities of the officers and directors will be examined by the trustee in bankruptcy, the DIP (or the trustee) in civil rehabilitation, or the trustee in corporate reorganisation. If a third party incurs loss caused by wilful misconduct or gross negligence of the officers and directors, then they will be personally liable to the third party. The officers and directors of a debtor corporation will incur criminal sanctions, for example, if they hide or destroy any assets of the debtor corporation with the intention of jeopardising the interests of the debtor’s creditors. Generally speaking, once bankruptcy, civil rehabilitation or corporate reorganisation has commenced, unsecured ordinary creditors are precluded from collecting their claims, including attachment or injunctions, no matter whether or not they are provisional. In civil rehabilitation and corporate reorganisation, the debtor can continue business immediately after the commencement and throughout the proceedings. Yes, and the post-filing credit (DIP finance) is ranked as the administrative claim that must be paid when it becomes due. The most common method is to sell the business of the debtor to the acquirer (or ‘sponsor’). The encumbrances to the assets belonging to the business will not automatically become free and clear by the sale. Stalking horse bids are permissible. Credit bids are not permitted. Under Japanese law, the trustee in bankruptcy and corporate reorganisation, or the DIP (or the trustee) in civil rehabilitation may elect to assume or cancel an executory contract. An executory contract under Japanese law is a bilateral contract the obligations of which are linked to each other by consideration and yet to be performed by each party as of the commencement of the insolvency proceedings. In corporate reorganisation and civil rehabilitation, for the trustee or DIP to cancel the executory contract, the court’s permission is required, which is non-appealable by any party. On the other hand, in case of assuming the executory contract, the court permission is unnecessary. In contrast, in bankruptcy, the court’s permission is necessary for the trustee to assume the executory contract, while it is unnecessary for the trustee to cancel the contract. Taking corporate reorganisation and patent for example, the following is a summary. The licence agreement is usually treated as an executory contract. However, if the licence is based on patent under the Patent Act of Japan, then the provision of the executory contract under the Corporate Reorganisation Act will not be applicable and hence the trustee of licensor cannot cancel the licence agreement. Consequently, the licence agreement will continue without cancellation by the trustee. The licence agreement is usually treated as an executory contract. The trustee of the licensee may elect to assume or cancel the agreement. If the trustee of the licensee needs to continue to use the patent, then the trustee will assume the agreement and the loyalty claim will become an administrative claim (common benefit claim) that will be paid when it becomes due. If the trustee of the licensee does not need to continue to use the patent, then the trustee will cancel the agreement and the licensor will file a proof of claim (unsecured ordinary claim), which will be paid on a pro-rata basis in accordance with the reorganisation plan. The Act on the Protection of Personal Information prohibits a company from transferring personal data as defined in the Act to a third party without consent from the person pertaining to the personal data, except where the company transfers personal data to a third party in accordance with the statutory laws or in the course of business transfer such as statutory merger. Therefore, the trustee in bankruptcy, civil rehabilitation or corporate reorganisation (or the DIP in civil rehabilitation) may access or use the personal data in accordance with the relevant statutory laws and transfer the personal data to an acquirer of business during the insolvency proceedings. Arbitration is hardly used in Japanese insolvency proceedings; however, mediation is sometimes used for revitalisation of the debtors. Two examples can be raised. First, there is a ‘special mediation’ proceeding handled by the court, and it is sometimes used for the purpose of making an amicable settlement between the debtor and some of the target creditors that did not give consent to the plan proposed by the debtor in its previous out-of-court workout proceeding. Second, in the case of corporate reorganisation of Spansion Japan Limited, a secured creditors’ committee (the first one in Japanese history) was established and a mediation mechanism introduced for reaching settlement with the reorganisation trustee on various important terms and conditions of the reorganisation plan, which led to full recovery of the claims of the secured creditors’ committee. Once bankruptcy, civil rehabilitation or corporate reorganisation has commenced, unsecured ordinary creditors are precluded from seizing assets belonging to the debtor. With respect to civil rehabilitation and corporate reorganisation, it is an established practice for the court to issue an order prohibiting the creditors from collecting pre-petition claims, including any seizure. With respect to civil rehabilitation and corporate reorganisation, once petition for commencement of these proceedings has been filed with the court, the court will issue an order prohibiting the creditors from collecting pre-petition claims. Exceptionally, in such an order, the court sometimes allows the debtor to pay small amount claims. After the petition, the court issues an order commencing bankruptcy, civil rehabilitation or corporate reorganisation (note that, even in the voluntary petition, there is a gap period between petition and commencement). Once these proceedings commence, unsecured ordinary creditors are precluded from collecting their claims outside the proceedings. Exceptionally, small amount claims may be paid in full if the court finds that prompt payment of such small amount claims would facilitate smooth progress of civil rehabilitation or corporate reorganisation, or significant hindrance would be caused to the continuation of the debtor’s business unless small amount claims are promptly paid. Furthermore, very exceptionally, under certain circumstances, the court may permit payment of the pre-commencement claim if the trustee (or DIP under civil rehabilitation) and the creditor make a settlement (in that event, the nature of the claim will be turned to an administrative claim). Once bankruptcy, civil rehabilitation or corporate reorganisation have commenced, a notice on the commencement, the form and bar date of filing the proof of claim, and the date of the creditors’ meeting will be sent to all the creditors known to the debtor. A statutory creditors’ meeting will be held and the creditors will be called by the notice. In the creditors’ meeting in bankruptcy, the trustee reports the financial status of the debtor, the reasons for bankruptcy, whether there are any circumstances that require a court order to assess the liabilities of the officers of the debtor or a court order to freeze the officers’ assets, and any other matters necessary for the bankruptcy proceeding. In civil rehabilitation and corporate reorganisation, the trustee (or the DIP under civil rehabilitation) must, without delay after commencement of the proceeding, submit to the court and the creditors’ committee (if one exists) a report on the reasons why the debtor became insolvent, the past and present status of the business and assets of the debtor, whether circumstances require a court order to assess the liabilities of the officers of the debtor or a court order to freeze the officers’ assets, and any other matters necessary for the proceeding. The Japanese insolvency proceedings have been recognised as debtor-friendly proceedings in general. There is no statutory requirement of forming a creditors’ committee, and in fact, there have seldom been cases where the creditors’ committee was formed and recognised by the court. One of the reasons for this result is that creditors may formulate a creditor group respectively, and it sometimes suffices for collection purposes. However, as illustrated below, the creditors’ committee may greatly contribute to the revitalisation of the debtor’s business, and it would lead to maximisation of recovery for the creditors. Personal experience leads to the conclusion that creditors’ committees should be utilised more often in Japanese insolvency proceedings. Under Japanese law, creditors’ committees may participate in the relevant insolvency proceedings if the court recognises this. The court may recognise only if (i) the number of the committee members is between three and 10, (ii) a majority of the creditors that have submitted claims consent to the committee’s participation in the proceeding, and (iii) the committee fairly represents the interests of all creditors. The committees are not prohibited from retaining advisers. Each committee is given certain powers, which include the right to (i) state its opinion to the court, the debtor or the trustee regarding the proceeding, (ii) convene creditors’ meetings, and (iii) supervise implementation of the proceeding. If a committee has contributed to the smooth progress of bankruptcy or rehabilitation or reorganisation of the debtor’s business, and has incurred necessary expenses for such activities, the court may, following a creditor’s petition, permit reimbursement of a reasonable amount of the necessary expenses, from the property of the debtor. The most successful case of a creditors’ committee began in 2009, when Spansion Japan filed for corporate reorganisation with the Tokyo District Court, and 10 secured creditors corresponding to 99 per cent of secured claims in value formulated a statutory secured creditors’ committee, which was approved by the court for the first time in Japan. The committee took every imaginable measure possible in order to maximise recovery, including participating in the US Chapter 11 proceedings of Spansion LLC, which is the parent company of Spansion Japan, which nevertheless gave up on the idea of rescuing its Japanese subsidiary. After long and tough negotiations among the committee, Spansion Japan and Spansion LLC reached a settlement agreement that provided Spansion Japan with more funds (ie, payment resources for the secured creditors) than it had originally expected. In addition, the committee served as the court-approved agent of Spansion Japan to remarket its assets, and it finally brought Texas Instruments not only as an asset purchaser but also as a viable sponsor of Spansion Japan. The committee also negotiated the terms and conditions of the reorganisation plan through a unique scheme of mediation where the committee and Spansion Japan submitted both arguments and information relevant to the arguments before the three mediators, two of whom were selected by both parties and the remaining one was selected by the two appointed mediators, all three being insolvency practitioners. The mediation went through 11 iterations, during which both parties separately filed reorganisation plans with the court, and finally reached a settlement on the terms and conditions of the plan (the debtor’s plan was amended to reflect the settlement, and the committee’s competing plan was withdrawn). Through these endeavors, the creditors belonging to the committee enjoyed full recovery of ¥27.5 billion in total, this being an unusual case in the history of Japanese corporate reorganisation. Moreover, the Tokyo District Court, admitting that the committee contributed to reorganisation of the debtor’s business, issued an unprecedented order approving payment of ¥500 million in total from the estate of Spansion Japan to the committee, which led to the successful recovery of ¥28 billion (corresponding to US$280 million, assuming that ¥100 equals US$1) in total by the committee. Payment of a pre-commencement unsecured claims is generally prohibited after commencement of bankruptcy, civil rehabilitation and corporate reorganisation. Such a claim will be paid in accordance with the distribution process under bankruptcy, the rehabilitation plan under civil rehabilitation, or the reorganisation plan under corporate reorganisation. To be eligible for the payment, a creditor must file a proof of its claim within the period prescribed by the court. With respect to any proof of claim duly filed, the trustee (or DIP under civil rehabilitation) is to prepare and file with the court a schedule that indicates whether the debtor allows or disallows the content of such claim and the voting right of the relevant creditor. Under civil rehabilitation only, if the debtor is aware of any rehabilitation claim, for which no proof has been filed, the debtor must indicate in the schedule whether it allows or disallows such a claim. Any creditor who has filed a proof of claim is entitled to object to a claim indicated in the schedule of allowance or disallowance during the period prescribed by the court. A claim that is allowed by the trustee (or DIP) and is not objected to by any creditor is considered final. A court clerk inserts all final claims in the schedule of creditors. The entry of claims into that schedule has the same effect as a final and binding judgment with respect to the finalised claims. If the debtor or any creditor objects to a proof of any claim, the creditor whose claim is objected to may file a petition with the court for assessment of the existence or the amount of the claim in a fast-track proceeding. A party who disagrees with the court’s decision regarding a claim assessment can file a lawsuit within one month of its receipt of the court order. With respect to secured claims, under bankruptcy and civil rehabilitation, the secured creditors may exercise the security interest outside the proceedings and it is not subject to the claim determination process above. That being said, a secured creditor whose claim is not or unlikely to be fully covered by the security interest should file the proof of the claim to be eligible for the payment of the unsecured portion. Under corporate reorganisation, payment of a secured claim (ie, a claim secured by the collateral belonging to the debtor company’s estate) is stayed by the commencement order (and even before the commencement, prohibited by the comprehensive prohibition order, if issued by the court), and a secured claim can be paid only in accordance with the reorganisation plan. The trustee makes the valuation of the collateral based on the present value as of the date of the commencement. To the extent a claim amount exceeds the value of the collateral, the exceeding part (the deficiency claim) is dealt with as an unsecured ordinary claim. The holder of a secured claim has the right to challenge the trustee’s valuation of the collateral. Generally speaking, creditors can exercise the right of set-off. In a typical set-off, it is necessary for the obligations of each party to be mutual, due and owing. In civil rehabilitation proceedings and corporate reorganisation proceedings, creditors can only exercise the right of set-off before the expiry of the period of the filing of their claims. Under certain circumstances, set-off is prohibited by the law. Close-out netting clause set out in the International Swaps and Derivatives Association (ISDA) master agreement in respect of instruments traded by reference to market prices is effective under Japanese law and the balance as a result of the close-out netting will be recognised as a single claim (or a single debt, as applicable) under relevant insolvency proceedings. Under Japanese law, the rank and priority of creditors varies depending on the type of claims and proceedings involved. Administrative claims will be paid when they become due to the extent that the bankruptcy estate is sufficient to satisfy such claims, and security interests are independent from the proceedings and are therefore enforceable. Residual funds after all of the above have been satisfied in full will be distributed to shareholders. Such a scenario is, however, very rare. Contractual subordinated claims will be assigned the lowest priority. Shareholders will not be paid and will usually be extinguished under the plan of rehabilitation. Usually, shareholders will not be paid and will be extinguished under the plan of reorganisation. Under Japanese law, a labour agreement is treated as an executory contract, and the trustee (or DIP under civil rehabilitation) may elect to assume or terminate the labour agreement. In termination of the labour agreement (ie, dismissal), the trustee must abide by a rule that a dismissal shall, where the dismissal lacks objectively reasonable grounds and is not considered to be appropriate in general societal terms, be treated as a misuse of that right and invalid. Collective redundancies sometimes become necessary for revitalisation of a debtor company. Under Japanese court precedents and prevalent practice, in case of dismissal as a means of employment adjustment (ie, collective redundancies), the following four requirements shall all be satisfied: (i) necessity of reduction; (ii) effort to avoid dismissal; (iii) rationality in selection of target employees; and (iv) procedural appropriateness. According to prevalent views, even during the insolvency proceedings, the four requirements above are applicable but they are not so strictly applied as before the insolvency petition. For example, validity of collective redundancies during the corporate reorganisation of Japan Airlines has been disputed in several lawsuits, and the courts held it valid in most of the cases. With respect to pensions, there are several kinds of pension schemes in Japan and treatment of pension obligation varies depending upon the types of insolvency proceedings. In general, treatment of defined-benefit (DB) corporate pensions with underfunded portions in the corporate reorganisation proceedings has often been at issue. DB is a system whereby pension benefits payable in the future to participants are predetermined. There are two types of DB pensions - agreement type and fund type. The former was at issue in the Spansion Japan (SPJ) case, and the latter was at issue in the Japan Airline (JAL) case. In the SPJ case, SPJ (ie, the employer) and its employees entered into a pension agreement, and SPJ executed a trust agreement with a trust bank. The pension to retirees had been paid from the trust asset, and not from the estate of SPJ. Based on the pension agreement, the employees had a claim against SPJ whereby SPJ had to pay the pension premiums to the trust bank, and thereby SPJ made installment payments of the premium to the trust bank. The pension was underfunded and hence there existed a deficiency in the pension asset. There are two kinds of premiums, one is a standard premium for the purpose of funding for the future service liability and the other is a special premium for the purpose of funding for the past service liability (ie, making up for the underfunded portion). Under these facts, in the SPJ case, the standard premium was treated as an administrative claim that would be paid in full as it became due. As to the special premium, it was treated similarly to a retirement allowance claim, and hence one-third was treated as an administrative claim, while two-thirds of it was treated as a preferred reorganisation claim that was subject to stay and would be paid in accordance with the reorganisation plan (in the SPJ case, it was fully paid in accordance with the plan). In the JAL case, because the premium claim was held by an independent body corporate and not by the employees, the claim was treated as an ordinary unsecured claim. Treatment of pensions under the Japanese insolvency proceedings is very complex, as illustrated above. The trustee (or the DIP under civil rehabilitation) is primarily responsible for taking care of the environmental issues during the insolvency proceedings. In civil rehabilitation, once the court’s order confirming the rehabilitation plan becomes final and non-appealable, the debtor will be discharged from every unsecured claim other than claims stipulated in the rehabilitation plan, claims that have not been filed within the filing period because of grounds not attributable to the relevant creditors or certain other liabilities set out in the Civil Rehabilitation Act. Common benefit claims, preferred claims and security interests will survive the rehabilitation proceeding. In corporate reorganisation, once the court confirms the reorganisation plan, the debtor will be discharged from every secured and unsecured claim other than claims stipulated in the reorganisation plan, claims for retirement benefits of the debtor’s officer (such as directors, auditors, representative directors and executive officers) and the debtor’s employees who took office or were employed after the commencement of the reorganisation proceeding or certain other liabilities set out in the Corporate Reorganisation Act. Common benefits claims will survive the reorganisation proceeding. In bankruptcy, distribution will be made when (or each time) the trustee collects sufficient funds to be distributed by liquidating the debtor’s assets. In civil rehabilitation, distributions to creditors will be made in accordance with the rehabilitation plan, within 10 years. In corporate reorganisation, distributions to creditors will be made in accordance with the reorganisation plan, within 15 years. With respect to real property such as a land or a building (please note that they are different property and could belong to different persons under Japanese law), a mortgage is the most typical security interest. With respect to movables, retention right, statutory lien, pledge, assignment as security and title retention are typical security interests. The trustee in bankruptcy or corporate reorganisation and the supervisor in civil rehabilitation (if granted such power by the court) are entitled to exercise the right of avoidance if such an act is found to be fraudulent conveyance or granting a preference to a specific creditor, etc. There exists a concept similar to (but, not the same as) equitable subordination; however, it is exceptional and not automatic. In short, a loan extended by a shareholder would not be subordinated simply because the creditor is a shareholder. The Corporate Reorganisation Act and the Civil Rehabilitation Act contain provisions permitting differentiation of payment in the plan of reorganisation or rehabilitation on the basis of equity between the same kinds of claims. As a result, there are the reorganisation plans where intercompany claims have been subordinated. Taking some high court precedents for example, (i) the Fukuoka High Court held that a reorganisation plan that subordinated a claim of the parent company that wholly controlled the subsidiary (the reorganisation debtor) and was responsible for the subsidiary becoming insolvent was reasonable and equitable under the circumstances, and (ii) the Tokyo High Court held that a reorganisation plan that subordinated a claim of a director who was responsible for letting the company become insolvent was equitable under the circumstances. However, it is generally understood that the trustee (or DIP under civil rehabilitation) does not owe duty to subordinate a claim unless it is extremely unjust not to do so. There is no similar provision in the Bankruptcy Act, and hence, generally speaking, most of the court precedents do not support the argument of equitable subordination in the bankruptcy proceedings. Any insolvency proceedings must be petitioned with respect to each company respectively, and the court would look at each company separately. The general rule is that it is not permissible to make a distribution of group company assets on a pro-rata basis without regard to the assets of the individual corporate entities involved. Under Japanese prevalent practice, substantive consolidation without relevant creditors’ consent is not permissible. For example, if the parent and the subsidiaries are all under corporate reorganisation proceedings, the court and the trustee (usually, the same court and the same trustee will handle all the group companies) may think of merging all or a part of the companies for the purpose of reorganisation, and the trustee may draft the reorganisation plans to that effect. Japanese courts will recognise a foreign judgment in Japan if (i) the foreign court is recognised as having jurisdiction over the case according to Japanese conflict-of-laws principles or relevant treaties, (ii) the defendant has been properly notified of the commencement of the proceedings or has not been properly notified but nevertheless assumed that proceedings had been commenced, or (iii) the judgment or the procedure of the lawsuit is not against public policy in Japan (for example, punitive damages are against Japanese public policy and not enforceable) and there is reciprocity of recognition between Japan and the country where the judgment was rendered. Japan has long adopted a rigid territoriality principle under which insolvency proceedings commenced in Japan do not extend to the debtor’s assets outside Japan, and, correspondingly, insolvency proceedings commenced outside Japan do not extend to the debtor’s assets in Japan. This principle was, however, abolished in 1999 and 2000, and replaced with the extra-territoriality principle. Accordingly, under current Japanese laws, the power of the trustee/DIP extends to the debtor’s assets located outside Japan. On top of that, taking account of the UNCITRAL Model Law on Cross-Border Insolvency, Japan has also enacted the Act on Recognition of and Assistance for Foreign Insolvency Proceedings (Recognition and Assistance Act) in 2001, which sets out measures to extend foreign insolvency proceedings to the debtor’s assets in Japan. Japan was one of the earliest countries to adopt the UNCITRAL Model Law. The Act did not purely adopt the Model Law as it modified it in some respects. There have been 15 foreign insolvency proceedings to date that have been recognised by the Tokyo District Court under the Act. In rendering the recognition, examination of COMI is sometimes at issue. Although the extra-territorial principle has been adopted under Japanese insolvency law, it is up to foreign courts whether to stay or give effect to Japanese insolvency proceedings. Accordingly, a debtor with important assets outside Japan would have to consider whether to file for recognition of Japanese insolvency proceedings with the relevant foreign court. For example, filing for Chapter 15 proceedings in the US as bankruptcy trustee for a Japanese company in order to halt a lawsuit in the US against the company and prevent foreclosure against the company’s asset in the US. Chapter 15 filings have been quite common recently in global cases, including those involving Spansion Japan, Japan Airlines, Elpida Memory, Sanko Steamship, Mt. Gox and Takata. In the case of Elpida Memory (where cash injection by the sponsor contemplated under the reorganisation plan was conditional upon the US court’s recognition of the plan), the Japanese reorganisation plan was recognised by a US court for the first time in the history of Chapter 15 filings. A further issue is how to deal with the assets in the foreign country where UNCITRAL-type recognition systems have not been introduced. In one case, the Japanese lawyer visited Hong Kong as bankruptcy trustee for a bankrupt individual for the purpose of investigating the bank accounts he might have maintained there. Because UNCITRAL-type recognition proceedings are not available in Hong Kong, and it was uncertain whether or not the bank would accept the Japanese bankruptcy trustee, the trustee had to take the bankrupt individual and his own attorney to Hong Kong, together with the trustee, and conducted the investigation with them at the banks concerned. Such issues are common in cross-border cases. In 2015, Anderson Mori & Tomotsune represented creditors in filing for corporate reorganisation proceedings against about 40 special purpose companies in Panama and Singapore. This is a landmark case because it was the first corporate reorganisation case where the foreign entities were deemed equivalent to Japanese stock companies, which are subject to corporate reorganisation. In the Spansion Japan case in 2009, the semiconductor manufacturer filed for corporate reorganisation in Japan and its US parent company filed for Chapter 11 soon after that. This case was unique because the two insolvency cases proceeded in Japan and in the United States, and there occurred many cross-border insolvency issues between them. In this case, the secured creditors’ committee was admitted by the Tokyo District Court for the first time in Japanese history and participated in US Chapter 11 proceedings, which ultimately resulted in successful recovery by the creditors. A foreign creditor will be treated in the same way as a Japanese creditor under any of the insolvency proceedings. Under the Recognition and Assistance Act, there exists the concept of the ‘debtor’s principal business office’ which is essentially equivalent to the COMI under the UNCITRAL Model Law. Although the debtor’s principal business office is not defined under the Act, a recent court precedent (Think 3 Inc case) held that, in order to decide the location of a debtor’s principal business office, the Japanese court would take into account the various elements of the debtor as a whole, in particular the location of the debtor’s headquarters or centre of business management and strategy, and the debtor’s major asset and business operation. There is no explicit test or court precedent to determine the location of the principal business office of a corporate group of companies, but a similar approach should be taken as described above. Under the Recognition and Assistance Act, a foreign trustee may file a request to the Tokyo District Court (which has the exclusive jurisdiction) to recognise the foreign proceedings and take necessary measures including the foreclosure of assets and appointment of a domestic trustee in Japan. To date, the following 15 cases have been recognised by the Tokyo District Court. To date, there has been no case where a Japanese court has entered into a protocol with overseas courts. This chapter has focused on the court insolvency proceedings; however, out-of-court workouts (ie, out-of-court debt-restructuring through agreements among the target creditors and the debtor) are also common in Japan. In recent years, there has been a significant drop in the number of corporate reorganisation and civil rehabilitation proceedings. By contrast, recent years have seen a rise in the number of out-of-court workouts where debtor companies and lender banks reach agreement on a plan of reorganisation under which debt repayment is rescheduled or discharged. This trend is attributable to several factors. First, the Japanese government has enacted several statutes that facilitate systematised out-of-court proceedings such as the Turnaround ADR scheme, the REVIC scheme, and the SME Rehabilitation Support Association scheme. Second, out-of-court workout proceedings provide lender banks with more information and transparency than court proceedings. Third, the value of a debtor’s business will not be impaired by out-of-court workouts because trade creditors are not involved in such workouts and the existence of such workouts are known only to the lender banks. For the above reasons, banks are also more likely to enjoy better recovery rates than they would under court insolvency proceedings. The prevalence of workouts is also due to the after-effects of the so-called Moratorium Law (precisely, the Act Concerning Temporary Measures to Facilitate Financing for Small to Medium-sized Enterprises), which was enacted in 2009 and expired in 2013. Under the Moratorium Law, Japanese banks were obliged to endeavour to lessen the burden of debts owed by SMEs to the extent possible by taking measures such as change of terms and conditions of debts, refinance of debts, debt-to-equity swap and so forth, if so proposed by the SMEs. Notwithstanding the expiration of the Moratorium Law, the Japanese government still enjoined banks to continue with the same approach toward SMEs as if the law were still in effect. This has helped distressed SMEs, which would otherwise have gone bankrupt, continue in operation. Accordingly, the Moratorium Law is often criticised as protecting ‘zombie’ companies. The most noteworthy recent development in the area of insolvency is the government’s plan to take a step to introduce majority rule to out-of-court workouts. As discussed above, out-of-court workouts have been increasing in recent years, and are generally preferred over court insolvency proceedings. However, in light of the right to property, which right is guaranteed as inviolable under the Constitution of Japan, there has been general understanding that, in out-of-court workouts, a reorganisation plan involving re-scheduling or discharge of claims shall be approved by unanimous consent by the creditors involved in the plan (in most cases, banks and other financial creditors). Accordingly, even if only one creditor is against a reorganisation plan in an out-of-court workout, the workout will result in failure, such that the debtor would have to file for court insolvency proceedings instead. This result is often criticised by insolvency professionals as harmful to business reorganisation. Given this background and as a result of a series of considerations, it is concluded that the majority rule shall not be adopted in the out-of-court workout regime itself; however, the reorganisation plan of the failed workout should be utilised in the immediately following court insolvency proceeding so that the plan will be approved by the majority of the creditors. For the purpose of achieving the goal above, treatment of trade claims is an important issue. Trade claims (most of which are small amount claims) are usually not involved in or affected by the out-of-court workout, but they would be affected by the court insolvency proceedings if no measures were taken. From this viewpoint, the Act on Strengthening Industrial Competitiveness has been amended and enforced in July 2018 to implement special rules in civil rehabilitation proceeding and corporate reorganisation proceeding after the failure of out-of-court workouts, which will request the court to take account of the decisions relating to treatment of the small amount claims made in the preceding certain out-of-court workouts, and it is expected that such rules will support the continuity relating to the treatment of small amount claims between the out-of-court workouts and the following court insolvency proceedings. 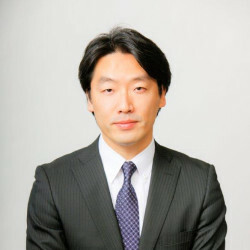 In addition, Tokyo District Court has announced a ‘fast-track’ schedule of civil rehabilitation proceedings for the case following the failure of out-of-court workouts and it is expected to proceed quickly and smoothly by utilising the financial analysis, business plan and the reorganisation plan prepared in the preceding out-of-court workout.